Remember my purple peppers? 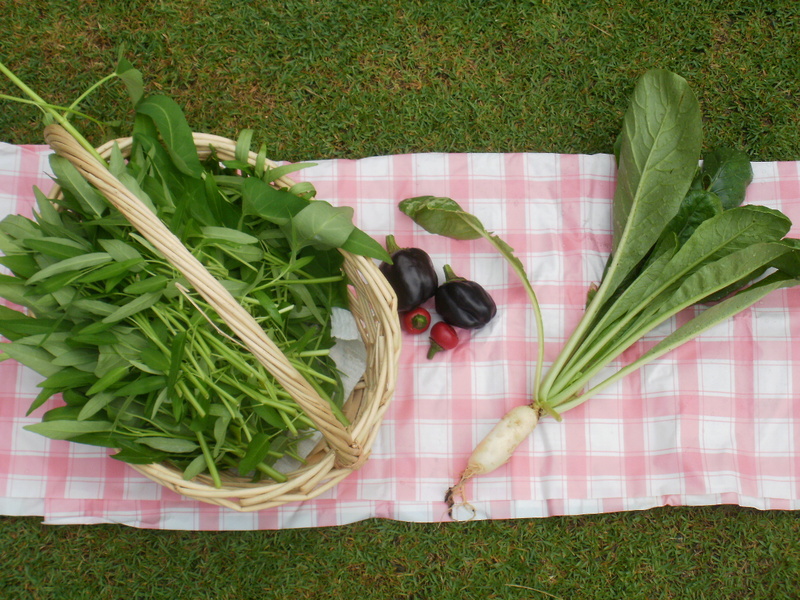 Today we harvested 3, and transplanted the whole plant into a bigger pot (it was looking a bit too fat for its pot). 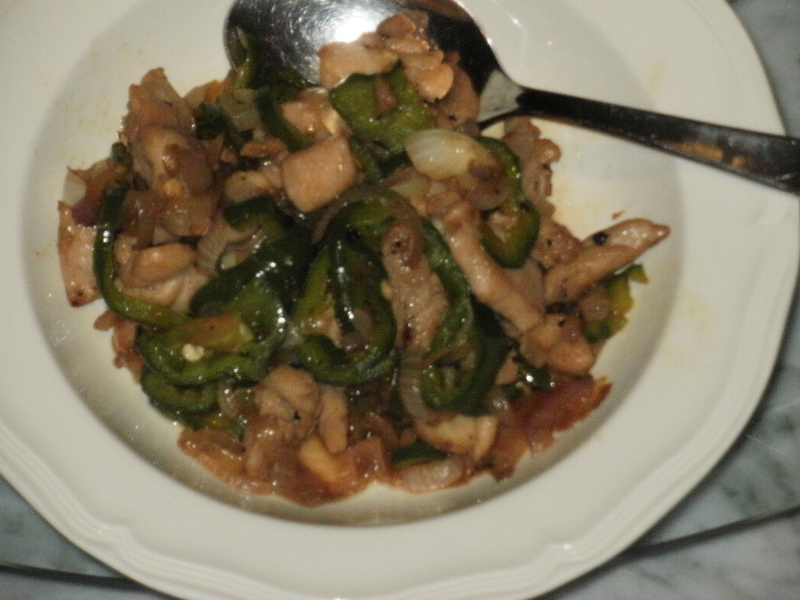 We sliced the peppers and fried them with some garlic, onions and chicken for my dinner. The purple peppers turned green when they were fried! I ate the chicken and onions not the peppers. I am not partial to peppers. Peter Piper picked a peck of purple peppers! 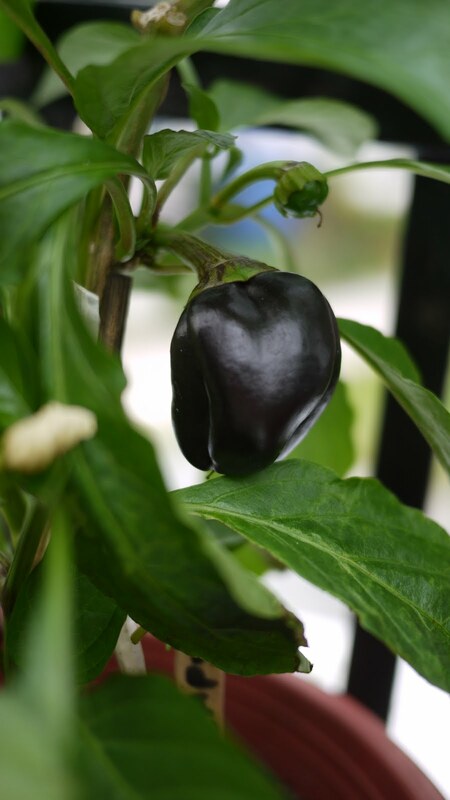 Look at my purple pepper! Novice Gardener gave me a small purple pepper plant, and now it is a big purple pepper plant with 5 fruit and 18 flowers! When it came it had a bit of a mealy bug problem so we put it in quarantine and sprayed it regularly with neem. It has recovered.